Does the Small UAV industry need its own coalition? Last week USA Today reported that Amazon, 3D Robotics, Parrot and DJI had banded together to form a “Small UAV Coalition”, hiring DC-based lobbying firm Akin Gump to represent their interests before US regulators and ease the way for the commercial drone industry in that country. Akin Gump lobbyist Michael Drobac says that, since the USA Today report was first published, Airware and GoPro have joined the fold and others in the small UAV business will soon be following suit. But does the small UAV industry need its own lobbying effort, and how will the inclusion of retail giant Amazon impact its ability to represent the broader group? In addition to contending with the FAA, the group must also gain traction with the Federal Communications Commission (FCC), which manages the communication frequencies that drones would use, and the White House Office of Science and Technology Policy, which will be ruling on privacy issues. With multiple government bodies to lobby, Drobac believes it makes sense to work together in a concerted effort. According to Drobac, there was already an appetite for a coalition among those in the small UAV business, whose needs differed somewhat from the larger UAV firms with aerospace and defence contracts. “The coalition members are all extremely consumer-focused,” he said, pointing out that the first priority of the group will be to lobby for clear safety and privacy guidelines, both of which are key concerns for consumers. 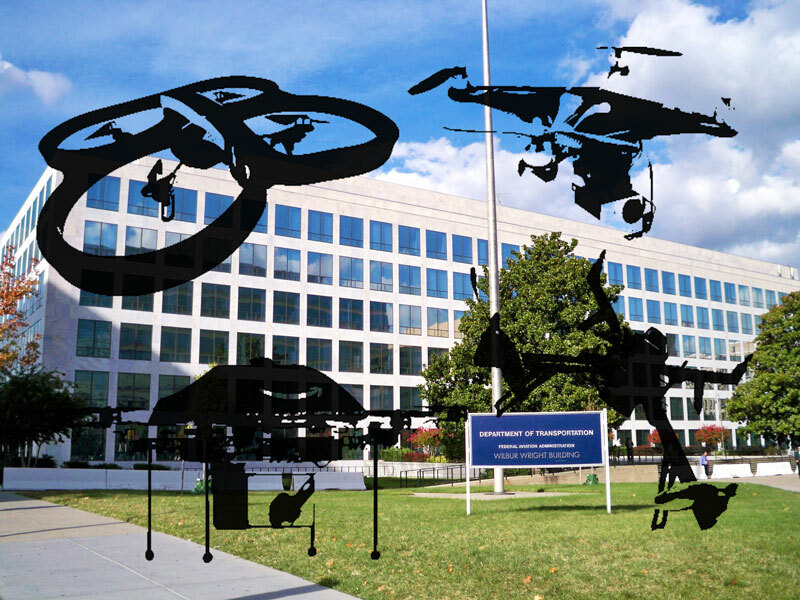 The coalition has already filed several petitions for exemption with the FAA, and hopes to influence and educate policymakers and consumers about the commercial opportunities of small UAVs. Patrick Egan from sUAS News thinks this consumer focus makes the coalition’s lobbying needs distinctly different from the needs of the UAV “old guard” of Department of Defence (DoD) vendors. “Previous lobbying efforts have been working to regulate 10-year-old aviation technology,” he says, pointing out that, by contrast, members of the Small UAV Coalition want to invest in new technology and new applications that haven’t even been discovered yet, and for that they will need extremely broad and inclusive regulatory definitions. It therefor matters that they have their own representation. “If you’ve successfully lobbied to have the standards built around your product or business needs, you will have an edge,” says Egan, pointing out that while current regulations tend to focus on the fixed wing products common to DoD vendors, the regulations don’t even consider the multirotor devices that are common to the small UAV industry right now. Source: Center for Responsive Politics. Note that 2014 expenditures represent only year-to-date until Aug 2014. Amazon has spent 40K on lobbying efforts for PrimeAir at the time of publication. Egan agrees that the influence of a big player is critical to the future success of the coalition, saying that “Amazon has a lot of horsepower and the White House has now renewed its interest in the issue,” however he points out that in the longer term it could be difficult for companies with such different applications and financial resources to keep their interests aligned. So far in 2014, Amazon has spent $40K on lobbying for Prime Air – a number that is likely to increase now that the coalition is official.